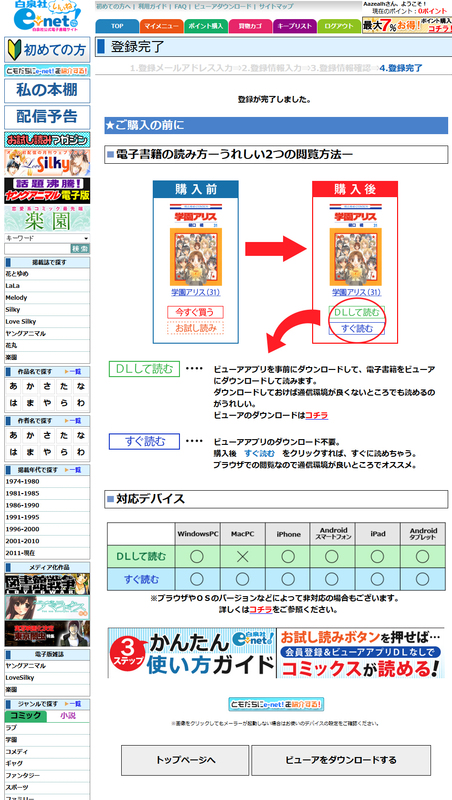 This is a step-by-step tutorial intended to walk you through the registration to hakusensha-e.net, the official online shop of Berserk's (and Young Animal's) publisher. Once registered, the process to buy and visualize a magazine is trivial and takes seconds at best, enabling a fan to support Miura directly (at very little cost) by purchasing the issues in which Berserk appears. Well then, let us begin! First off, head to hakusensha-e.net. 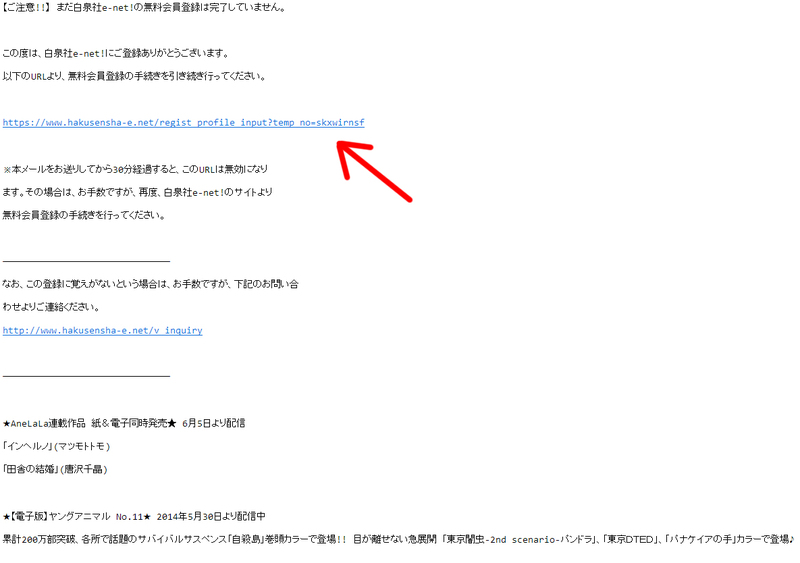 You will see the page below (the homepage). Next is to find the latest Young Animal issue. Save for a special occasion, it will have a chick on the cover (like all "young adults" magazines in Japan). 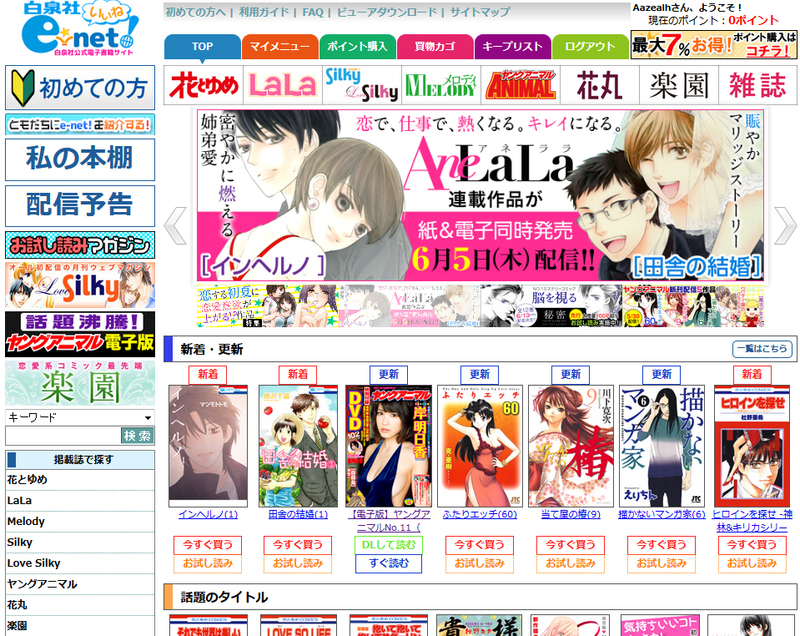 If you have trouble finding it, search the page for "ヤングアニマル". That's the name in Japanese. Once you've found it, you'll notice it has two buttons undernearth the cover. 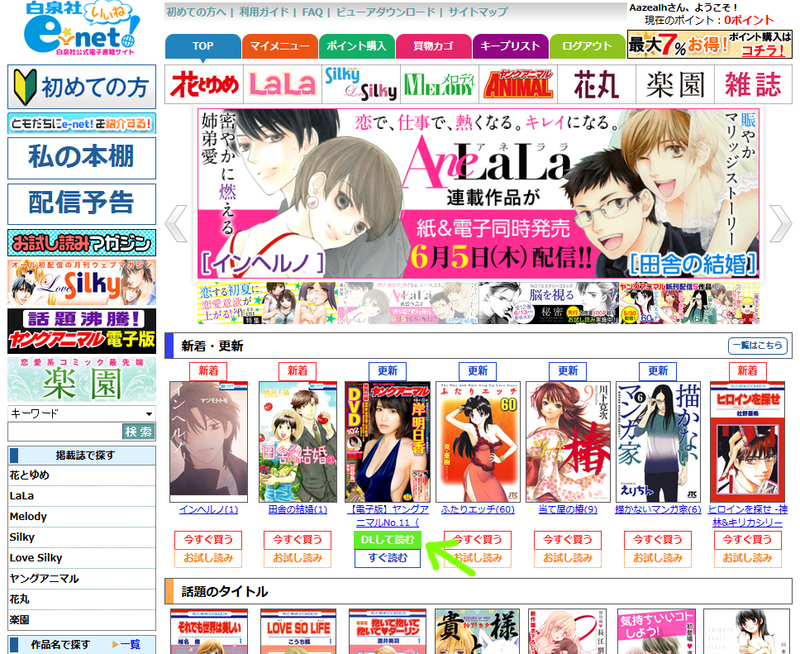 The upper one means "to buy", the lower one is a preview of the magazine in the webbrowser, showing ten or so pages. Click the upper button. You will be directed to a page asking you to log in or to register. 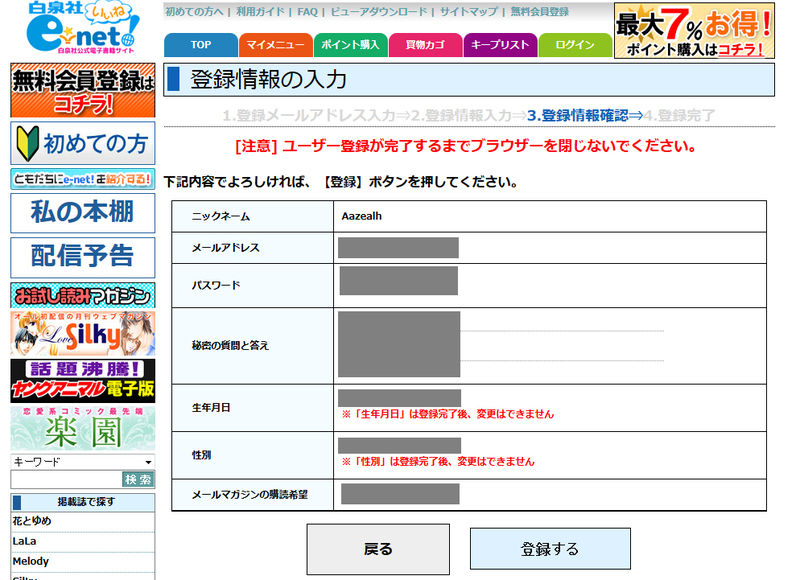 Click on the right button to initiate the registration process (here's the link, in case you're having difficulties). 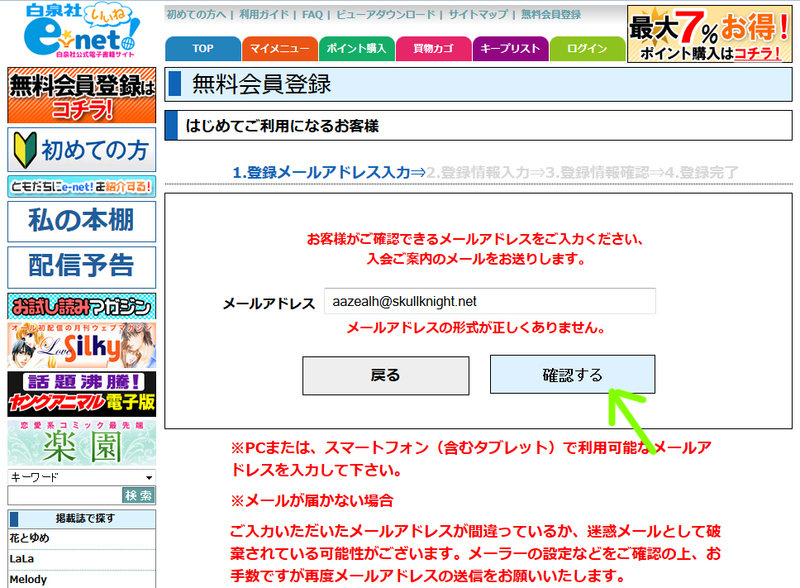 Enter a valid email address and click on the button to the right. In Japanese you read from right to left, and so the validation button is always to the right, and the "cancel" one is always to the left. You will then see a confirmation screen asking you if that email address is the right one. Confirm by clicking on the button to the right. You will then receive an email at the address you specified. It should be instantaneous. Click the link as shown in order to confirm your registration. Be warned, the link is only valid for 30 minutes. After that you will have to repeat the process. Once you have clicked the link, you will be sent to a page with a form to fill. Fill it as shown above. Regarding the secret question and answer: you have to choose a question, you can't leave it by default. 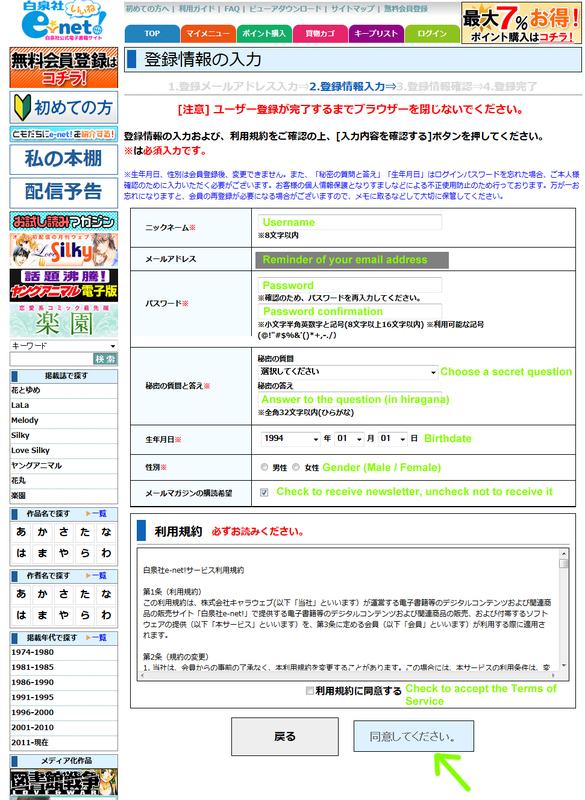 You also have to input an answer in Hiragana. If that's beyond your ability, just use gibberish and keep it in a text file somewhere. Here are some hiragana you can use as a basis to create your answer: あまいうえおかつねめひへほむひも. Just select some, remove others, rearrange them, whatever. Next is a recap of what you've just entered. Click the right button to proceed. Congratulations, you've registered. Notice that you're logged in (top right corner). This is a page explaining you how the site works. Once you've purchased a magazine, the buttons turn from red and orange to green and blue. Green to download the issue, blue to view it online, in your web browser. There's also a recap of what method works on what device/OS. As you can see it's quite extensive. Anyway, at this point you don't need to care about this page. You can just return to the homepage to purchase something, although you may as well first download the local software used to peruse what you buy. 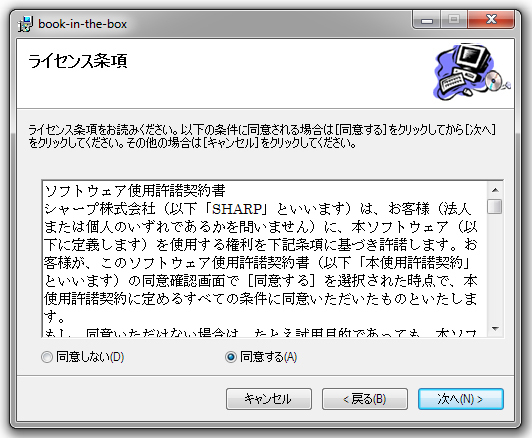 It's a program called "Book in the Box", edited by Sharp. The page to download it can be found at the bottom of that screen (right button), or you can just click here to get there. The process is then straightforward: click on the button corresponding to what device you use (here we'll assume it's a PC using Windows) and the download will begin. I will explain how to install it at the end of this guide. For now, let's concentrate on buying the material we're interested in. Go back to the homepage, and repeat the first step. Click on the red button. This time, you're taken to this page. You can see previous issues of the magazine below, you can see the price of the magazine (a little under $3), the issue number, etc. On the right is a box with 5 options and a button below. Those are payment options. The one we care about is the second one from the start: クレジットカード決済. That's payment by credit card. Select it, then press the button below. Here's an all-too-familiar screen. Enter your credit card info. First the number (no spaces, no nothing, just digits), then the month / year, and finally the "secret code", same as any other website. Check the box to have your credit card memorized into the system, so that next time you don't need to re-enter the number. Then click on the button to the right. You will most likely be taken to a bank-specific protection system that'll ask you a secret question or send you a text with a number to input or something. Depends on the type of card you have. 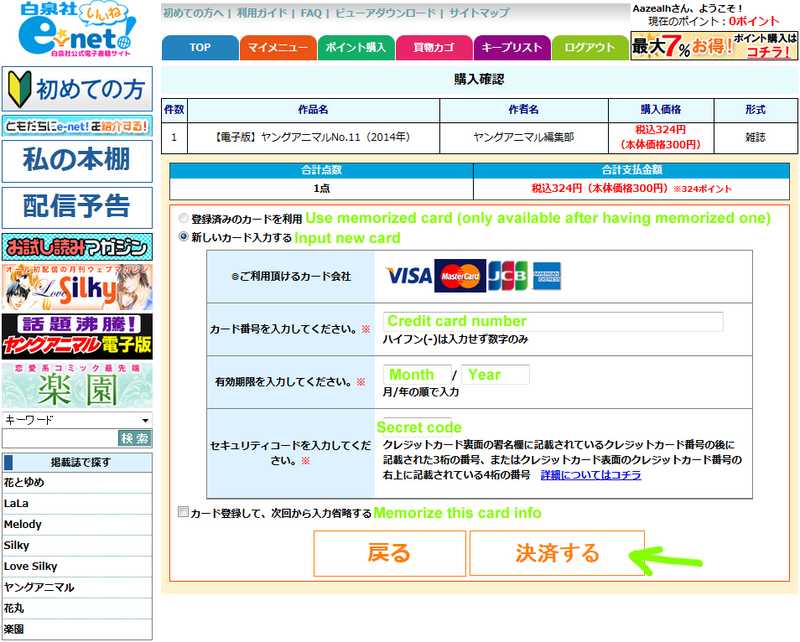 Then you'll come to this screen, once the transaction is successful. Congratulations! You've bought a magazine! You're a true supporter! If you don't see this screen, it means the transaction failed. Check with your bank. Now there are two buttons here. The one on the right is to download what you've just bought to your Book in the Box software, so don't click it for now because it's not installed yet. First we'll check your online "book shelf". Click on the left button (or click here). Note that the book shelf is also accessible at all times through a button to the left of all pages. Well, looks like you've got one Young Animal in there! Click on it. Now you've got options. The green DL option is to download to Book in the Box, and the blue option is to view in the browser. For info, some browsers may not support this technology very well, so if you encounter problems, try another software. If we return to the homepage, notice that the magazine now displays the green and blue options directly there as well. Alright, so you can check YA directly from your browser, but what about the old school way, through a dedicated program on your computer? 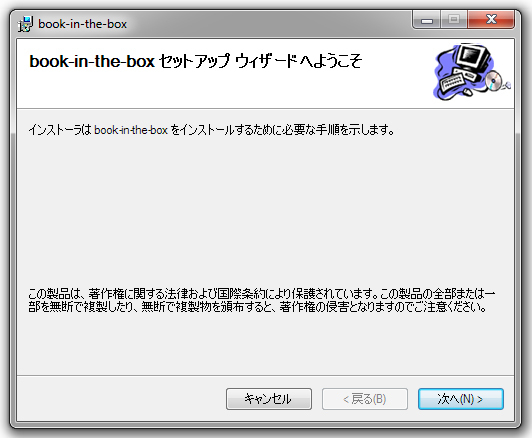 Well, let's install Book in the Box. As a reminder, the download page is here. It will download a zip file that contains a directory. Extract that directory, then click on setup.exe. Click the button to the right, marked (N) for "Next". Check A for "Accept" and click N for "Next". Choose the desired directory and click Next. The program will install for a short while, then show you a final screen. Click C for "Close" and you're done. A shortcut has been placed on your desktop, double-click it. This screen will appear. 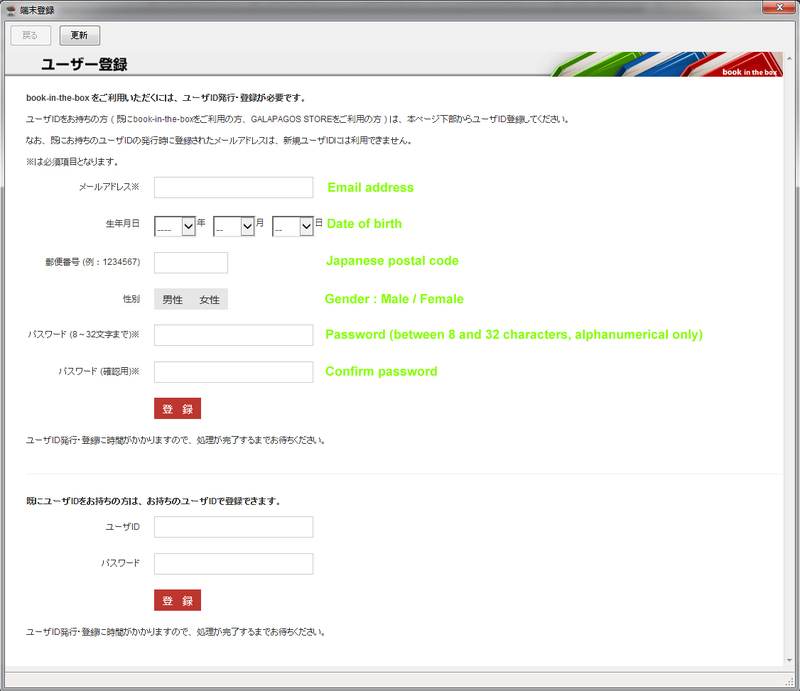 It's a login/registration screen. Surprise, you need to register again! 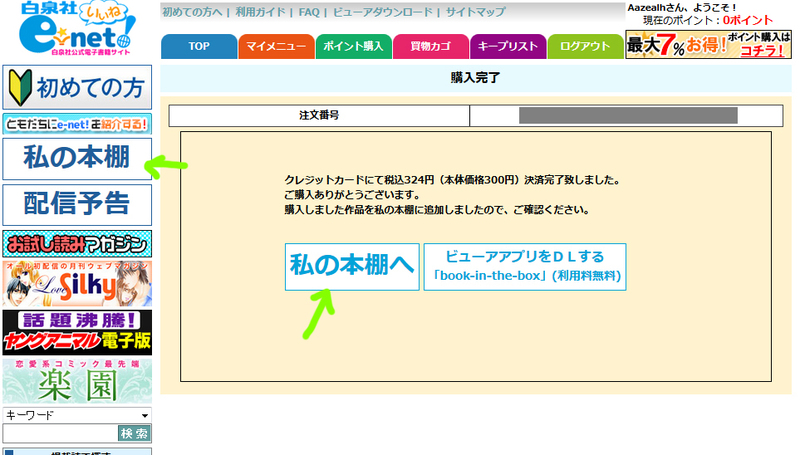 That's right, Book in the Box uses a different account from the Hakusensha online store. It's simple though, just follow what the pictures says. For the postal code, use this: 100-8994. Click on the red button (top one). Your registration is complete! You'll receive an email with a unique ID that was attributed to you. Keep it, as it's used to log into the program. Finally, go back to the website and click the green DL button. The issue is immediately uploaded to Book in the Box (if the software isn't open, you'll be prompted to do so). Double-click it, and there you go! As a conclusion, be aware that it's not just Young Animal that can be bought online. The first 34 volumes of Berserk are also available right here and can be purchased the same way. Thank so much for doing this, Aaz, and being so detailed. No one has an excuse not to buy episodically now. It's clear and detailed. Thank you a lot for this, Aaz. Now i can easily register myself. Thank you so much for the guide! I'm sad though that I can't download the issues on my mac. But at least there is an online option. Do you know if there is a difference in the image quality between the book-in-the-box program and web viewer? Has anyone tried viewing the issues online using Chrome? 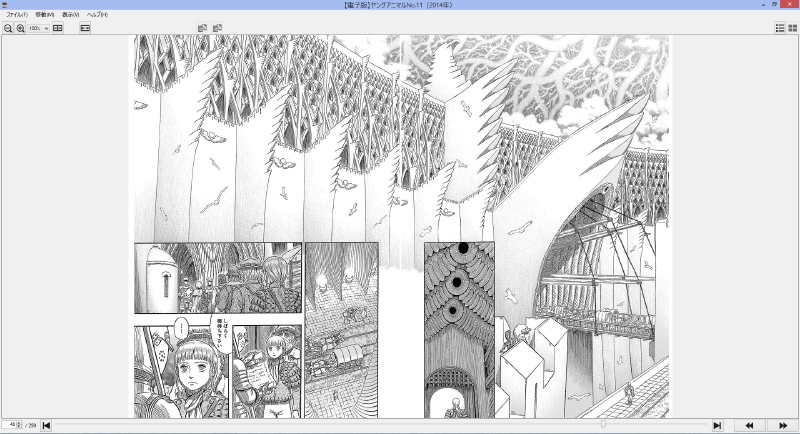 I'm using Chrome right now, and the web viewer has no difference in quality. It has a pretty handy selection screen where you can jump right to the series you want to read. I actually find it a little snappier to use than the app. That's great to know. Thank you Walter! Great tutorial! Thank you very much for taking the time of putting it together. There's indeed no excuse anymore not to buy the episodes now. Just one comment: if the email address you provide to register is from certain domains, there's an extra step before the confirmation email is sent (my guess is that it's email addresses from free email providers such as Gmail, Yahoo, etc). It's not that big a deal, but I thought I'd share it in case someone else encounters this. Ah, thanks. I actually just forgot this step because it's so trivial. I've added it. 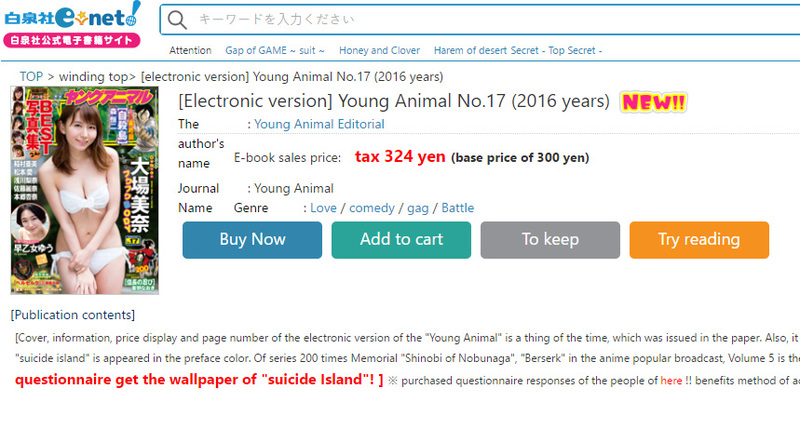 Is it possible to legally dl English translations of the volumes and the young animal episodic releases? We offer text translations of the episodic releases here. But it's been slow lately. Dark Horse has a digital wing, but Berserk isn't among their titles. I think that could soon change though. Dark Horse has said they'd like to sell Berserk digitally. And with Hakusensha making strides in that direction (in addition to buying Young Animal digitally, you can also buy all the Berserk volumes), there's now an established precedent for them to sell the digital rights to the series to their international distributors. It's more a matter of IF they can be convinced to do it. Excellent, thanks for the walkthrough Aaz! Incidentally, does anyone know what exactly the 一気読み! "read gulp" edition is? It looks like it's just a digital repackaging of a couple volumes together? Yeah, those are repackaged versions of the story, a bit like the MyBestRemix stuff that was released in the past. The amount of pages seems to vary quite a bit between each volume, but you get more than with a standard one in any case. I just bought my first episode with this guide, great stuff!! Hey, thanks for this guide. I'm wanting to buy all the YA issues with post-vol 37 Berserk episodes in them, how do I find out what those issues are? It's usually indicated in the respective threads for those episodes (and you can find out what episodes are in what volumes here). To save you time, the issues in question are #10, 11, 16 and 19 for the year 2014. Unfortunately though, the system doesn't keep old magazines for sale past 3 or 4 months as far as I know. Once you've bought them they'll stay in your account forever, but if you come late, no luck it seems. Their reasoning must be that you can just buy the volumes for the series you care about, but unfortunately Berserk is an exception in this case. Wow, thanks for taking the time to do that. Any experience with buying digital Japanese episodes (of any series) which are later released in English? Do you have access to the English version or is it a double purchase scenario? Love that we can buy current eps. Would also love to be able to leverage our purchases into showing there is a demand for it. If anyone has any bright ideas on that front then please let me know. Any experience with buying digital Japanese episodes (of any series) which are later released in English? Do you have access to the English version or is it a double purchase scenario? 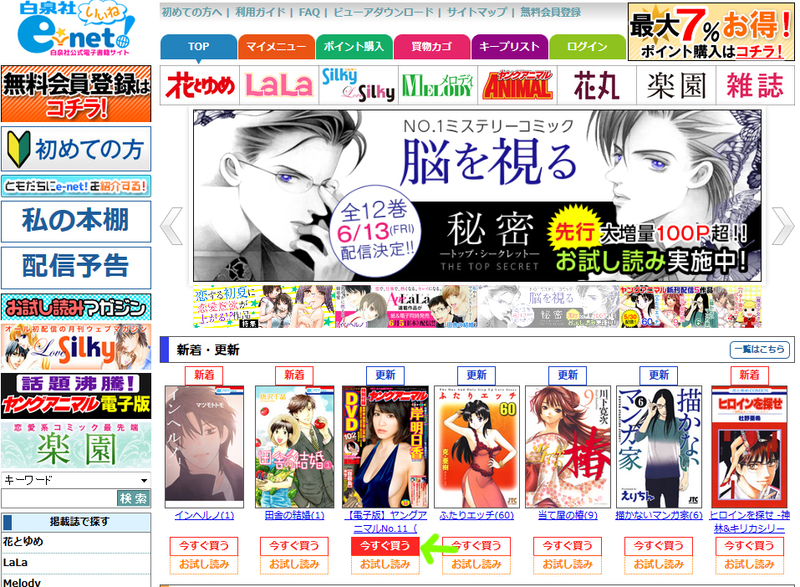 Hakusensha doesn't release English versions, those are the exact same magazines/volumes that are printed in Japan. They can be read with our translations here at SK.net, but otherwise you have to wait for Dark Horse to publish the corresponding volumes. Would also love to be able to leverage our purchases into showing there is a demand for it. If anyone has any bright ideas on that front then please let me know. Well they can know that some accounts have foreign IPs and use foreign credit cards, so if they care the info's available to them. Beyond that, if there were enough regular foreign buyers I could always shoot them an email to suggest releasing English versions, but frankly the demand would have to be quite high for it to be financially viable for them. Thanks for the guide. Very detailed and useful information. One questions, do you know if there is kind of "Book in the Box" for Linux? I can definitely vouch for the web edition of the browser. It's far quicker and more functional than the dedicated software. Hello, Aazealh. 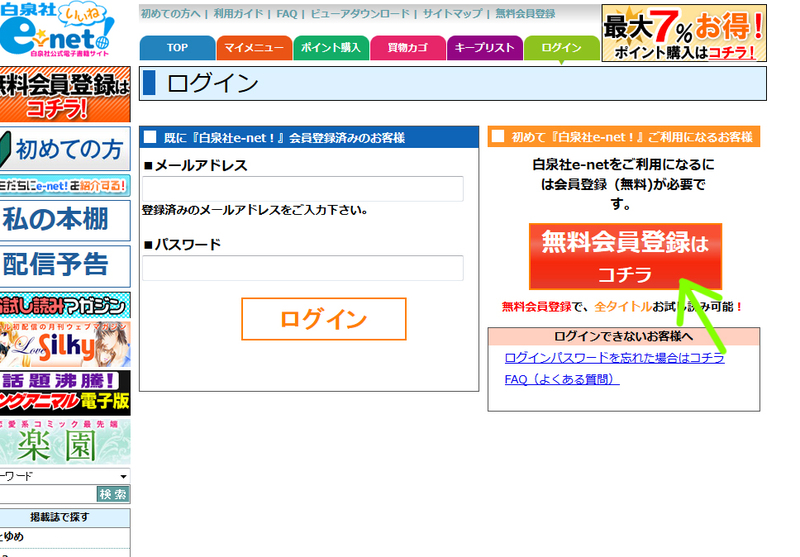 It seems the interface for hakusensha has undergone some changes. Like now I don't see those 2 buttons when looking to buy the digital version of the magazine. And if I click the cover, I directly go to buy, if I'm not mistaken, the material version. Think you could help me get the digital version? I would appreciate it. The "To Keep" option is indeed new, but I'm not sure why you'd blindly click that grey button to begin with. I just bought the digital version of the latest issue, and it's otherwise the same process as Aaz described before. On that note, Suicide Island just ended -- I had no idea! Damn, sorry man, completely forgot to reply to you! Yeah I probably should remake the guide, but like Walter said, it's nothing really different. Clicking the cover will get you to buy the digital version, same as before. If you have any more questions please don't hesitate to reply here or send me a private message.